Check out our Best VPN for Netflix guide updated for 2019. Netflix is the godfather of online streaming if you love movies and shows. However, if you’re a little bit savvy then you’ll already know different countries offer different catalogues of both movies and shows. Depending on where you live depends on how much content you can get access too. 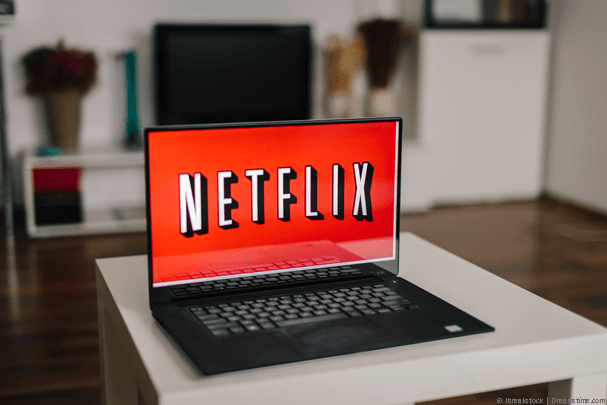 In this guide we’re taking a look at the Best VPN for Netflix in 2018 and although Netflix has tried to crack down on VPN services in recent years there are still some which are working. We’ve scoured the internet to find the very Best VPN services which are working with Netflix in 2018 and we’ll be keeping this guide updated monthly throughout the year. We’re mainly concentrating on accessing US Netflix because it has the largest range of both movies and shows, but some of these VPN services will work with other regions too. So if you want to access US Netflix in 2018 and other regions just select one of the services below. We had no issues logging into US Netflix and streaming just by connecting to their recommended US Server. If you want to try accessing other regions of Netflix then ExpressVPN definitely make a good choice. With servers in more than 94 countries around the world, they offer more locations than most other providers. While we can’t guarantee they work with any of those regions of Netflix, they’re the best for trying. There’s a full 30-day money back guarantee available on the service which is definitely a bonus when using with Netflix. As Netflix try to clamp down on VPN use it’s always good to have a guarantee that you can get your money back if the service starts being blocked. Apps are available for Windows, Mac, Android and iOS. There is also a Linux app and an Amazon Fire TV and Firestick app giving you plenty of options for streaming American Netflix. If you want a hassle-free Netflix viewing experience then we recommend NordVPN. The service works fine with US Netflix allowing you to access the full catalogue from the American Netflix site. They also work well with a few other regions too. Connection is simple using the range of NordVPN apps which are available for Windows, Mac, Android and iOS. It takes just two clicks to get connected to a US VPN server for watching Netflix. We had no trouble streaming movies and TV shows in the UK or even at distance in Thailand so they should be suitable no matter which country you’re located in. One of the standout features is the ability to watch on up to 6 devices at the same time. This allows your whole family to watch different movies and shows on US and other Netflix regions. If you’re new to VPN use and you want to access US Netflix then CyberGhost VPN is definitely worth a look. Their apps have specific options for streaming blocked content and one of those options is a special mode to unblock US Netflix. All you need to do is click the button and wait for it to connect. Their apps even open the Netflix website for you so you can get streaming straight away. We had no troubles streaming US Netflix and watched Breaking Bad in the UK without any issues. CyberGhost VPN allows you to use the service on up to 5 devices allowing you to watch Netflix across your entire range of devices or household. There is even a massive 30-day money back guarantee if you’re worried about the service being blocked. If you’re worried about the VPN provider you sign up to being blocked by Netflix in the future then StrongVPN is probably the most future-proof. They’ve been consistently working with Netflix for well over 12 months and are one of few providers who quickly rectified the blocking issue when Netflix first started clamping down on VPN services. The software for PC and Mac has recently been redesigned and is now no harder to use than any other provider. You can get connected and be watching Netflix within just a few clicks. The apps for mobile devices are also well designed and work well so no matter what device you want to watch American Netflix on, StrongVPN has you covered. There are less worldwide locations so if you want to attempt to access a Netflix region other than America you’ll need to check their server listing first. However, if you want a reliable Netflix VPN then they’re worth checking out. You may need to try a few different US locations to find one that works with Netflix, for example, San Francisco and Los Angeles didn’t work but Chicago worked fine. We’re all trying to save money where possible and a VPN for Netflix is no exception. Although VPN.ac are relatively expensive on a monthly basis, they are one of the cheapest providers when taking a yearly package. The service works fine with Netflix and they actually have some of the best speeds for other needs such as downloading. There isn’t quite the server choice of other services but their US Servers work well with Netflix. VPN.ac have some of the best encryption options available so if you want to ensure your privacy is protected when streaming Netflix, they’re probably the best choice. Apps are available for Windows, Mac, Android and iOS and they even recently launched an Amazon app for the Fire TV and Fire TV Stick so if you want to unblock Netflix on either of those devices you’re covered. Despite what you might read or hear, Netflix still works with some VPN services. Netflix started blocking VPN providers a few years back and did so in a big way. Almost all VPN providers were blocked. 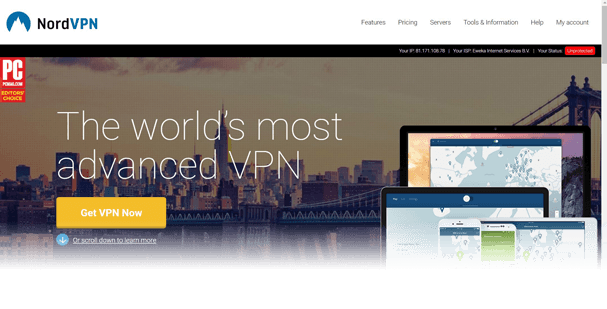 As time has gone on more and more VPN providers are now finding ways around such blocks and are working again. Before you even think of getting a VPN for Netflix it’s important you consult up-to-date guides such as this one. Information on VPN services working with Netflix quickly goes out of date. We’ll be keeping this article updated through 2018 so you can be sure the service you sign up to from the 5 listed above works with Netflix. We tested a whole host of VPN services with Netflix in exactly the same way as you would use a VPN for Netflix. Firstly we connected to a United States VPN server at random. If possible the nearest to our location or the one suggested as the best by the VPN app. We then logged into Netflix using our normal web browser. Next, we searched for the TV Show “Breaking Bad” which isn’t available on many Netflix Regions. We then played the first few minutes of the show and skipped through random sections to ensure it worked as intended. We aim to keep the Top 5 Best VPN for Netflix list updated continuously throughout 2018 checking that the services work with US Netflix each month. However, Netflix regularly blocks VPN providers at intervals so it’s entirely possible a VPN can work one month and be blocked the next. If you connect and find that you’re blocked from viewing the first thing to do is try other servers from the VPN provider. For example, if you connect directly to the “US” option on many VPN providers it will select the best server for you based on speed. This server may be blocked by Netflix, but another server on the same VPN service might not. All you need to do is browse to the server list and select an individual server or server in another city in the US. If that doesn’t work it’s worth contacting the VPN service themselves as they are probably aware of the issue and working to resolve it. It’s difficult to recommend a subscription period for use with Netflix. For a risk-free subscription, it’s probably best to sign up on a monthly basis. That means if the VPN provider you use gets blocked then you can easily switch to another and you don’t lose months of service payments. That said, most VPN services can cost over 50% less when paying yearly. That means once you’ve got 6 months out of the service, the second 6 months are essentially free compared to paying monthly. VPN provider StrongVPN has been working consistently for well over 12 months so in that case subscribing for 1-year would have been the better option. In the end it all comes down to risk vs reward and what you as an individual choose to do. Netflix has different catalogues of movies and shows depending on what country you live in. This can vary vastly. The United States is the #1 service and has the most movies and shows. The site Finder suggests that while US Netflix has 1157 TV Shows and 4593 movies, Morocco has just 39 TV Shows and 118 movies. That’s just 3% of the US catalogue and with a VPN you can access all that additional content. Apart from the obvious catalogue increase that most of you will be interested in there is also the privacy aspect. A VPN protects your internet usage so no one but you and Netflix knows what you’re watching. Finally some services may limit the speed of Netflix streaming which means you get reduced quality, especially at peak times. As a VPN disguises what you’re doing it’s impossible for your internet provider to reduce your Netflix speed. Using a VPN with a Fire TV or Fire TV Stick device can be tricky. Most VPN providers don’t support the Amazon devices. Luckily both ExpressVPN and VPN.ac released a dedicated Amazon app that works with both the Fire TV and Generation 2 Fire TV Stick devices. All you need to do is sign up for their service, install the VPN via the Amazon app store and then connect to their US server. You can now launch the Fire TV Netflix app and enjoy more content. Finding a VPN working with Netflix can be difficult especially with all the outdated information. This guide is being kept regularly updated throughout 2018 so you can make sure the service you sign up for works with Netflix. All you need to do is select one of the five providers above. We recommend ExpressVPN for watching American Netflix but any of the five will be suitable. All that’s left to do now is sign-up and enjoy more Netflix content.